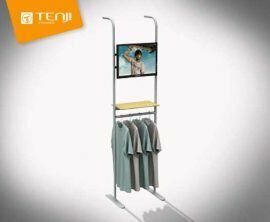 Have you already purchased one of Tenji’s Flexad 3m Tension Fabric Walls? do you need a new print? Then The Custom Sized Straight Wall Re-Print is what you need. We print and manufacture our Flexad Custom Sized Straight Wall Re-Prints using incredible Stretch Fabric Technology. 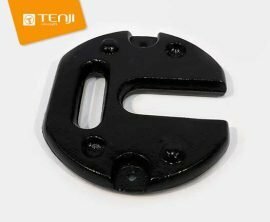 This means that you get a perfectly smooth, appealing finish on your print. The stretch fabric print also comes printed full colour, so you get maximum design space, and beautifully vibrant prints. With our standard sized Re-Prints there is no need to send back any hardware for sizing. So you simply need to order your Re-Print and supply us with Print Ready Artwork. Then all you need to do is just wait for your print to be completed. To get the correct sizing for your frame, simply measure your straight frame using the method shown in the video below. We will then use those sizes to make your Custom Sized Straight Wall Re-Print. 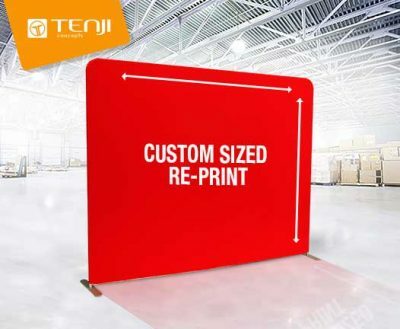 This will ensure that your Re-print fits your frame perfectly.